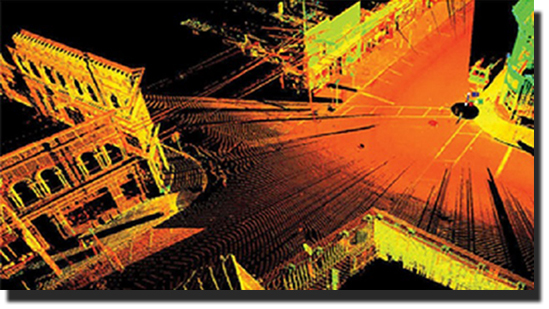 How does the Laser Scanner perform measurements? The Laser Scanner provides data points that includes “range” information (distance from scanner to scattering objects) including measurement of “return energy” or what we called as “Intensity”. The Laser Scanner then provides a detailed and accurate colored 3 Dimensional model of the scanned environment.The Laser Scanner can capture up to 800 million points, a 3D pixels with each pixel having X, Y and Z coordinates and color value. Laser Scanner emits a relatively low energy pulses within the infrared spectrum which is safe to human and biological environment. Active sensors that can be operated during night time with efficient data acquisition of 600,000 3D points per second.